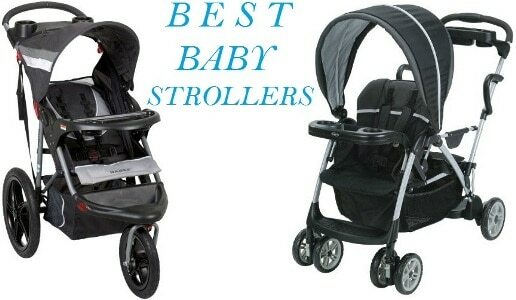 For any parent who is on the market looking to buy the best baby strollers for 2019, it is important that you first take a look at our detailed and informative strollers buyer’s guide. This is to help you start on the right direction and make it easy for you to choose the correct baby stroller for both you and your baby’s needs. Different manufacturers of strollers are pushing to revolutionize the way strollers are built to cater for the ever changing needs of a baby’s development milestones. This means that a design that works now may not be suitable for the coming years because even the lifestyle of babies is changing and so manufacturers have to keep on revolutionizing the whole concept of designing and building strollers. This as a result has led to a lot of competition among the different manufacturers who are trying to out perform each other in a bid to satisfy the ever changing consumer needs. This as a result has filled the market with many baby stroller brands and models that make it confusing for any parent to find the perfect stroller that will cater for their needs. For this reason, we have created a guide on the best baby strollers 2019 that features the most up to date baby stroller reviews so you can know the latest and best selling strollers on the market today. Starting our list of the best baby strollers 2019 is the Britax 2017 B-Agile/B-Safe 35 Travel System. This baby stroller is the best selling when it comes to baby stroller travel systems. It is built to provide the highest levels of safety and protection for your baby that go beyond federal safety standards. It comes with two individual components that are combined to form the whole system. The first component which is the B-safe 35 infant car seat is built to provide the maximum protection for your baby during an impact. It features a steel frame that provides ultimate strength and a base that compresses in order to absorb energy during a collision. Its contoured shell enables it to occupy small space in your car while minimizing side-to-side movements for maximum protection. The second component is the 2017 B-Agile 3 stroller which is built to be highly maneuverable, light in weight and easy to fold. If you want to easily pass through any tight or narrow paths, the 3-wheel configuration with swiveling front wheels has you sorted. It is also portable and easy to carry around thanks to the lightweight aluminum frame used in its construction. Folding or packing this stroller is also very easy and fast due to the one-hand fold design feature. But there is also one feature that makes this stroller to be highly compatible and customizable at the same time. With the click and go system, you can quickly connect to any Britax infant car seat and this makes the process of transitioning between the car and the stroller easy and fast. The graco aire3 click connect travel system is built and designed to make it easy for you to explore the world with your baby without compromising on quality, safety and durability. The 3 wheel stroller travel system folds easily in one second and with just one hand and features a carrying strap for easy and extra portability especially when your baby is not riding along. This travel system automatically locks itself when folded and it’s also self-standing thus making it easy to transport and pack. Portability is further enhanced by its light weight of less than 22 pounds. The comfort of your baby is also given top priority. It features a multi-position seat that can be reclined to offer a flat position for the baby while creating an infant carriage at the same time. The 3 wheel stroller also has a built-in suspension that provides a smooth and enjoyable ride for the baby and this also helps in maximizing baby’s comfort on the road. These great comfort features make this baby stroller stand out from the crowd. For parents who have essentials to carry on the go, this baby stroller comes with a parent’s tray with two cup holders and zippered storage for your important must-haves like phones or keys. The baby’s essentials can also be stored in an extra large storage basket placed under the infant seat. For your baby’s security, it comes with a convertible three or five point harness that enables you to effectively secure your baby when on the road. This travel system from chicco bravo will easily and comfortably see your baby grow from an infant to a toddler thanks to its three unique modes of use. The first mode for infants is the keyfit carrier in which chicco bravo functions as a lightweight car seat carrier. This mode allows for easy removal of the stroller seat, attachment of the adapter and clicking in of the keyfit. In the second mode of use, the keyfit can be easily clicked in or out of the stroller seat using the adapter to provide an upright sitting position for the baby. The third mode comes to use when the baby has outgrown the keyfit and now chicco bravo functions as a stroller for everyday travel of up to 50 pounds. It includes an extra large storage basket and a parent tray with storage and cup holders that offer parents the added convenience of storing all the important essentials they need when they are out and about. Packing and unpacking this baby stroller is also easy and quick due to the one-hand fold feature and auto-swivel wheels that automatically rotate inward to allow for a compact and free standing fold. With the baby’s comfort in mind, it comes with an extra large canopy and adjustable seat that can be reclined to provide the most comfortable sitting position for the baby. This ensures the baby rides along in ultimate comfort. To enable parents push it along with ease, the stroller comes with a height adjustable push-handle that can be raised or lowered to provide the most suitable pushing position for parents of different heights. The summer infant 3dlite stroller is packed with impressive and award winning features yet it costs less than a hundred dollars. It is designed to be one of the lightest baby strollers you can ever buy. The 3d lite has an all-aluminum frame that makes it superlight in weight (weighing less than 12 pounds) yet still incredibly durable. You can also fold the stroller in three easy steps by lifting the rear handle, pushing the lever with your foot and finally folding it down and you’re ready to go. It has an adjustable canopy with a pop out sun visor that does a really good job in protecting your baby’s skin from the harmful infrared and ultraviolet rays of the sun. This visor can block out up to 99.9 percent of these harmful rays. But the one feature that sets this baby stroller apart from the rest is the easy-to-recline seat with 5-point harness. The easy to recline seat can be set to a flat position that’s ideal for napping or diaper changes even when on the go. For your baby’s safety, the five point harness enables you to secure your baby tightly when riding along plus it can also adjust to 3-height positions to accommodate your baby’s growth. This stroller has also plenty of storage spaces for all the essentials needed when on the road. From the extra large storage basket to the zippered pockets and cup holders, you’ll definitely carry everything you require for your journey. If you’re looking for a stroller that will enable you to ride your baby along while you’re jogging, then the baby trend expedition lx travel system is a great choice. This jogging stroller has a front wheel that locks itself so as to provide it with good stability when you’re jogging along. But you should take note that the jogging function is for when your child is older and is in the stroller seat only. The front wheel can also swivel in different directions for easy maneuverability. It comes with a flex lock 30 infant car seat that can comfortably accommodate children who weigh up to 30 pounds and have a height of up to 30 inches tall. This flex lock car seat also features EPS energy-absorbing foam for superior side impact head protection. Another important feature of the flex lock car seat is that it can easily be removed from the car seat base to allow for a quick and easy click in attachment to stroller to make the whole travel system. This baby stroller is also very convenient even when you’re on the go. It features both a parent tray for 2-beverages and covered storage as well as a convenient baby tray, in addition to a large storage basket so you can carry with you whatever you see fit for the journey. Other important features in the baby trend expedition include an extra wide push-handle, adjustable canopy with covered sunroof ratchets for blocking the sun or wind and a multi-position reclining padded seat with a fully adjustable 5-point safety harness. As its name suggests, this stroller from baby trend is not just a baby jogger, but it’s also a double stroller. This feature makes the baby trend navigator perfect for parents with twins. It does this without compromising on comfort and safety of the children. It comes with two baby trend infant car seats and this allows it to accommodate two babies very comfortably. The seats are padded and offer multi-position reclining to enable you to set the seats in the most comfortable positions for your two babies. Together with the 5-point harness that helps your babies stay safe while on the move, this double stroller will offer you the peace of mind you deserve. For easy storage and transportation, it comes with a handy effortless trigger fold that collapses the double stroller within seconds. With a convenient parent tray that includes two cup holders, you can carry with you all the essentials you need for the road. But that’s not all, the built-in MP3 speakers will surely turn your boring travel into an entertaining one by allowing you and your baby to dance to the tunes of your favorite songs even when on the move. Of course it also comes with locking front swivel wheels for easy maneuverability and pneumatic bicycle tires that offer a bumpy-free ride for the children’s comfort. The uppababy vista is a top-of-the range baby stroller that is designed to adapt to the growing needs of your family. Being a premium baby stroller means it can also do more and better than what the other standard strollers can do. Its design allows you to configure it in many different ways to enable you to transport a second and third child very easily. This is made possible since the vista allows for multiple combinations that include 2 MESA infant car seats, 2 bassinets or 2 seats for travelling with twins and even multiples. The vista bassinets are very handy especially for overnight sleeping thanks to the perforated mattress pad, vented base and airy canopy for ultimate breathability and comfort. As a performance travel system, the vista allows the MESA infant car seat to be attached directly to it thus delivering a travel system that is ultimate in safety and portability. To add to its compatibility, the vista together with its adapters can also accept a selection of chicco and maxi-cosi infant car seats. To cater to the growing needs of your baby, this stroller comes with a height adjustable canopy that accommodates your growing children. Apart from this, the canopy also features an extendable sunshade of SPF 50+ and also rain and bug shields for protecting your babies from unfriendly weather and climate. It also offers the baby a very comfortable ride due to the shock-absorbing front and rear suspension plus the one-step fold feature makes the whole stroller very easy and quick to pack and unpack. When it comes to baby strollers, graco as a brand name is very well known and popular. So it shouldn’t surprise you that we have another stroller on our list from the same brand, the graco comfy cruiser click connect travel system. As its name suggests, it’s built to provide the ultimate travel comfort for the baby. With its built-in suspension and the padded multi-position reclining seat, your baby is guaranteed of the most comfortable and smoothest ride to and fro. On top of this comfort, your baby is also kept safe on the road thanks to the 3-point or 5-point harness that properly secures your child in the stroller. Its easy fold and self-standing features make this baby stroller very convenient for parents who are on the go. You can simply fold the stroller and pack it ready to go within a matter of seconds. When riding it, this stroller is also highly maneuverable due to the locking front swivel wheels that make it easy to navigate through tight spots. The maximum weight capacity for this stroller is 50 pounds while the infant car seat supports children whose weights range from 4 – 30 pounds and are 30 inches tall in height. Plus the inclusion of extra large storage basket and two trays with cup holders for both you and the baby makes the graco comfy cruiser a very convenient travel system for mums or dads who are on the go. The baby jogger 2017 city mini 3W single stroller is designed with urban mobility in mind. It is a lightweight, compact and nimble baby jogger that’s most suited for traversing urban jungles. Weighing in at only 17 pounds, this stroller is impressively light in weight thanks to the aluminum used in its construction. This lightweight characteristic also comes with another advantage which is nimbleness. This means you can ride this stroller while running or jogging but the stroller will remain firmly planted on the tarmac. The small dimensions also makes it very compacted in size thus enabling it to occupy very little space especially when you carry it in your car. Being able to easily and quickly fold and pack a stroller is a feature that most parents look out for when buying a baby stroller. Thankfully, this jogging stroller comes with a patented quick fold technology called the fold that allows the stroller to be folded in one step with only one hand. Your baby should also get protection from the harmful infrared and ultraviolet rays of the sun while riding along. For this purpose, a UB 50+ sun canopy which is adjustable to accommodate different head heights comes included in the stroller. Other important and expected features include the obvious multiple reclining seat that has a weight capacity of 50 pounds and an eight inch tire tread with lockable swivel front wheels and front suspension for easy maneuverability and bumpy-free rides for the baby. According to BOB, the revolution flex duallie is rated as the number one jogging stroller available on the market today. And for that reason, it comes with features that catapult it to the top of the list when it comes to jogging strollers. BOB clearly understand that parents come in different heights and so it has an adjustable padded handlebar which offers 9 different positions to create the perfect fit for parents of all heights. This gives parents the most comfortable position for pushing the stroller when walking or jogging along. To make the stroller stable enough while jogging, the front wheel locks itself in a forward facing position for increased stability especially on rough terrains. The front wheel also swivels in different directions to enable you to maneuver tight corners with ease. But it’s the built-in suspension that won our hearts. With a state-of-the art adjustable suspension that offers 3 inches of travel and 2 stages of weight support, your baby will feel as if the stroller is riding on a magic carpet. This suspension is designed to provide an ultra-smooth ride on any kind of terrain. It is also compatible with infant car seats such as the BOB B-Safe 35 by Britax. An extra large cargo basket for storing supplies, gear and a few toys for your baby is also included plus you can fold or unfold the stroller in seconds and go on your way. There are many baby stroller brands available for purchase nowadays and this means you can find a stroller that satisfies most of your tastes and needs. But some baby stroller brands are more popular and well reputed than others. Below we’ve listed ten of the most popular brands as far as baby strollers are concerned. Baby jogger – this company was the first to invent the jogging stroller that enables parents to run while pushing the stroller along. The three wheel stroller and the city select are also very synonymous with this company. Most of the strollers from baby jogger have won different awards due to the emphasis on designing strollers that innovatively solve the everyday challenges of parenting. Baby trend – this brand is also very popular as a stroller manufacturer. It produces different types of strollers such as 3-wheel strollers, snap-N-go strollers, single and double strollers, joggers and even travel systems. They pay close attention to designing one of the safest strollers on the market. BOB – an abbreviation for Beast of Burden, this company started out in 1994 by making child passenger products such as bike trailers. As the years went by, they expanded onto other products like baby strollers, travel systems and car seats. Most of their strollers are very reliable and are updated almost every year to cater for the changing consumer demographics. Britax USA – this company made its debut in the US in 1996 but has been making strollers and infant car seats for over seventy years now. Most of their strollers are continuously ranked number one in safety technology by safety experts and the company ensures that its strollers are redesigned on an annual basis so as to stay ahead of the competition. Chicco – this is an Italian company that was founded in 1958. As a multinational company, it specializes in making a variety of products that range from clothing, toys for babies, high chairs, car seats, equipment for babies and of course strollers. If you wish to make a purchase from them, you can do so online and from most retail stores. Graco – an American baby products company that initially started out as a metal-products company. It makes different products from the popular baby swings or swyngomatic to activity centers, nursery products, car seats and strollers which are available online or at any retailer for purchase. Summer infant – when it comes to baby products, summer infant as a brand is already a household name. It makes almost any baby product you can imagine such as baby monitors, safety gates, nursery products, bath and potty products and of course gear and stroller travel systems. Its famous summer infant 3dlite is one of the lightest strollers on the market. Uppababy – this American company specializes in making strollers, car seats and their associated accessories. Their travel systems usually include a bassinet that acts as a sleeping basket for the baby overnight. They are also designed to allow transportation of multiple babies at once. Peg perego – another Italian company that’s been in the baby products business for more than sixty years and has branches in a number of countries worldwide. It specializes in making car seats, high chairs, strollers and many other products that come at high price tags when compared to other brands. You can purchase their products from Babies ”R” Us, Target and many other online stores. Bugaboo – this is a high-end dutch company founded in 1999 that makes luggage systems and baby strollers together with the required accessories. Their strollers are easy to use, highly customizable and some models come with a bassinet. Some also come with a very convenient adapter that allows the stroller seat to be converted to a car seat. Why Buy A Baby Stroller? We know most parents don’t think it’s necessary to buy a stroller especially soon after giving birth. The most important baby accessory for the first five to six months is actually a baby carrier since it really helps in fostering the important parent-child bond that’s needed for the first five months of giving birth. But as the baby gets older or reaches one year old, the importance of a stroller soon becomes inevitable. At this stage, your baby has grown physically enough to be driven along safely in a baby stroller. For the sake of your baby’s health, it is advisable to wear the baby for the first 6 months to one year instead of riding them in a stroller. This is because the bouncing and swinging effect of a stroller can contribute to plagiocephaly, or in simpler term, the flattening of the back of your baby’s head. This is true especially if the baby spends more than 4 hours on the stroller in the first few months when the baby’s skull is still soft. This will increase the risks of developing a flattened area in the back of the baby’s head. Thankfully, a baby carrier helps to avoid this risk by allowing you to carry your baby in a parent-facing chest position that helps in taking the pressure off the back of your baby’s head and this helps prevent flattening of the head. Less tiring – riding your baby in a stroller is not as tiring as wearing the baby on your back. Helps to soothe the baby – the smooth and gentle stroll can really help in soothing your baby to sleep. This is true especially if you buy a stroller with soft suspensions that offer a bumpy-free and smooth ride. Safety – since strollers come with a canopy for protecting your baby from harmful rays of the sun, a protective frame together with a safety harness, they offer a far safer environment for your baby as opposed to baby wearing. Baby wearing can be risky in certain situations, for example, you may accidentally spill your baby out of the carrier when you bend over to pick something on the floor or you can accidentally hurt the baby when you’re carrying a long object. But with a stroller, the baby is comfortably out of harms way. Storage for all your essentials – strollers come with extra large storage baskets that allow you to carry all the stuff you need for both you and your baby. Physical exercise – strollers offer parents a great opportunity for staying fit and healthy since you’re constantly walking or even jogging while pushing the stroller along. But not all baby strollers are for jogging and so you’ll need a stroller designed for jogging. These are the most common types of strollers that come with comfortable seats, maneuverable wheels, they also offer ample storage with built-in trays and cup holders and they weigh around 16-37 pounds. Some of the models come with a multi-reclining seat that can be set to a position comfortable enough for the baby. All models come with a seat adapter that’s compatible with most infant car seats. These are basically frames that allow most car seats to be clicked onto them. They are less expensive as compared to other stroller types, compact in size due to their small dimensions and also very light at only 11 to 16 pounds in weight. They are more suitable for parents who have just given birth and don’t have many things to carry around. As their name implies, these are designed and built to be as light as possible and this makes them very easy to carry around. They are even more light and compact than the car seat frames, weighing in at only 8-17 pounds. But they also have some shortcomings, for example, they don’t offer seat adapters and this means they can’t be used on babies less than 6 months old. Their smaller wheels also make them less maneuverable especially on uneven terrains. These are specifically designed with the joggers in mind. They have a lockable swivel front wheel that allows for easy maneuvers while increasing stability at higher speeds by locking itself in a front facing position. But more importantly, they come with built-in suspensions that act as shock-absorbers and the tires are big and air-filled to offer smooth and comfortable ride even on rough surfaces. Most of them have a weight ranging from 23-31 pounds. Double strollers are perfect for parents who have twin babies. They provide two seats side-by-side or in tandem orientation. But since they can cater for two babies does not necessarily mean they weigh twice as much. With weights ranging from 21-36 pounds, they can be ridden along with ease and they are also narrow enough to fit through most doorways. It’s also important to note that the car seat frames come in double versions. Unlike the other types of strollers, travel systems can actually allow you to carry more than two or multiple babies at once. They come with separate bundles that can be combined to form a single travel system. But the separate bundles make these systems more expensive yet the product quality is often lower sometimes. There is also the added bulk and heaviness which makes them a burden to transport and for this reason, it is advisable to take caution so you later don’t regret your purchase. • It is much easier and faster to transition from driving to strolling even if the baby is left in the car seat. • Thanks to their lightweight and compactness, car seat frames are much easier to use and also get in or out of the car. • Car seats provide the safety, security and comfort that’s required for the baby in the first six months. • If the baby fell asleep while you were strolling or driving, you can easily transition without disturbing the baby from its sleep. • Does the stroller come with a safety harness for securely holding your baby on the stroller? • How portable is the stroller, can it be easily folded within seconds? • How will the baby get protection from unfriendly weather such as rain, strong winds or even UVA and UVB sun rays? • Are the brakes and swivel locking mechanisms easy to use? • If you have twin babies, will the stroller accommodate both of them comfortably? • On what kind of terrain will you be riding the stroller on? • Does the stroller come with sufficient storage spaces for shopping or on the go essentials? • What is your height and does the strollers handle-bars accommodate for your body’s height? Safety harness – we all know how important the safety of the baby is while riding on a stroller. Most standard strollers come with 3 point or 5 point safety harnesses that enable you to firmly and safely secure your baby at the shoulders, waist and between the legs so as to prevent the baby from falling out if the stroller accidentally tips over. You should look for straps and buckles that can be adjusted to provide a proper fit. Easy fold mechanism – most strollers come with a quick and easy one fold operation feature that allows you to use only one hand to fold it down in a matter of seconds. Many are also self-standing after being folded and this gives you the added convenience of easy storage and packing. Protective canopy – protecting your baby from the harmful rays of the sun, rain, strong wind and even bugs is the main purpose of a canopy. A good canopy should also provide proper ventilation for the baby via mesh panels or fabric used in its construction. This is important for keeping the baby comfortable for the whole trip. Built-in suspension – not all strollers have a built-in suspension and depending on the kind of terrain you’ll be mostly riding the stroller on, it is important to consider the shock-absorbing abilities of the stroller you want to buy. Strollers with built-in suspensions provide an ultra-smooth ride for your baby’s comfort even on rough terrains. Storage – being able to carry with you all the required essentials for the road is very important. Thankfully, most strollers come with lots of storage spaces such as zippered pockets, trays with cup holders and even extra-large baskets for keeping both you and your baby’s staff. Even if you’re going for shopping, the large storage baskets should be more than sufficient for all your shopping and essentials. Brakes – high performance brakes are an essential safety feature. A safe stroller should have braking mechanisms that allow it to be brought to a complete halt if need be. This is very important especially on steep and slippery surfaces. Hopefully, most strollers have parking brakes which are foot-activated while others come with both rear-wheel brakes that are activated using a hand-operated lever. Handle-bars – for you to get the most suitable position for pushing the stroller, the handle-bars need to be height adjustable so as to help accommodate parents of varying heights. For your hands comfort, they also need to be padded with soft touch materials. Fabric and upholstery – strollers come with many different types of fabrics and prints to make it easy for you to find the one that suits your style. You should choose a fabric that’s easy to wipe or clean since your messy baby will be spending most time on it. The material should also be breathable to keep the baby comfortable in the hottest weather. Size of the wheels – here you can either opt for bigger wheels or smaller wheels since both have their own merits and demerits. Larger wheels are easier to push and roll over bumps and non-paved surfaces however they come with the problem of being heavy and bulky. Smaller wheels on the other hand are less bulky but are hard to push especially on uneven and rough surfaces. Weight of stroller – a heavy stroller makes it hard to carry especially if the baby is not riding along and you don’t have a car for carrying the stroller. If you know you’ll be carrying the stroller by hand, then opt for the lightest strollers available so as to ease the burden on you. Maneuverability – this should be the most important factor when it comes to strolling. All baby strollers have a lockable front swivel wheel that rotates in different directions thus allowing you to maneuver easily through tight corners. But this feature is only helpful when making turns or corners. If you don’t know, there are many factors that affect maneuverability of the stroller, for example, the more the weight of your baby increases the less maneuverable the stroller becomes. Also the terrain on which you’re riding on has an effect, for example, when strolling over grass or gravel and even on snow the stroller becomes difficult to maneuver around. • Always make sure you’ve secured your baby safely using a 3-point or 5-point safety harness to prevent the child from falling or slipping out of the stroller. • When you’re folding the stroller, make sure the baby is at a safe distance away from the stroller to avoid amputation related injuries. • Don’t hang anything on the push-handle bars to prevent the stroller from tipping-over. • If you want to put drinks in a cup holder, make sure the drink is cold and in a tightly sealed bottle. For hot drinks, you should avoid putting them in the cup holders to prevent accidental spills that may burn your baby. • Check whether the particular stroller you’ve bought was recalled due to faulty components that may pose a security risk to the baby. • Also double check the parking brakes to ensure it is fully set. This is important to avoid unplanned brake releases that may be fatal to the baby. The importance of strollers especially in today’s mobile world cannot be under estimated. They make travelling easy and convenient for parents with newborn babies and they also come with a lot of other benefits discussed in this guide. But with all the products available on the market to choose from, parents can have a hard time figuring out which stroller is most suited for their needs and situation. The purpose of this detailed guide on the best baby strollers 2019 is to help you make the right decisions and choose the perfect baby stroller for both you and your baby. The guide will help you narrow down your selection to a few models that will fit your baby’s situation until he/she matures to the point where they don’t need to be driven along in a stroller anymore.